Vaginal bleeding associated with pelvic or abdominal pain are the most common complaints of pregnant women presenting to the emergency department. In addition to clinical history, physical examination, and laboratory data, ultrasound examination is essential for evaluating these patients. Over the last five decades, technology has provided ultrasound machines of high quality and resolution with the option of compact and mobile units. This has made it a useful tool for obstetrical assessment and diagnosis in emergencies. Ultrasound has become an important tool in routine obstetrical care. This review limits itself to the role of ultrasound in some of the most common emergency conditions during pregnancy and the immediate postpartum period. Although maternal mortality rate attributed to ectopic pregnancy has dropped by about 50% in the past two decades in the developed country, it remains to be a common cause of morbidity and mortality in other parts of the world. The major causes of death are excessive hemorrhage, shock, and renal failure. Therefore, ectopic pregnancy must be excluded in every woman in childbearing age. Physicians should be aware of the risk factors for ectopic pregnancy such as history of ectopic pregnancy, intrauterine contraceptive device, and pelvic inflammatory disease. Pelvic pain is the most common symptom of an ectopic pregnancy. 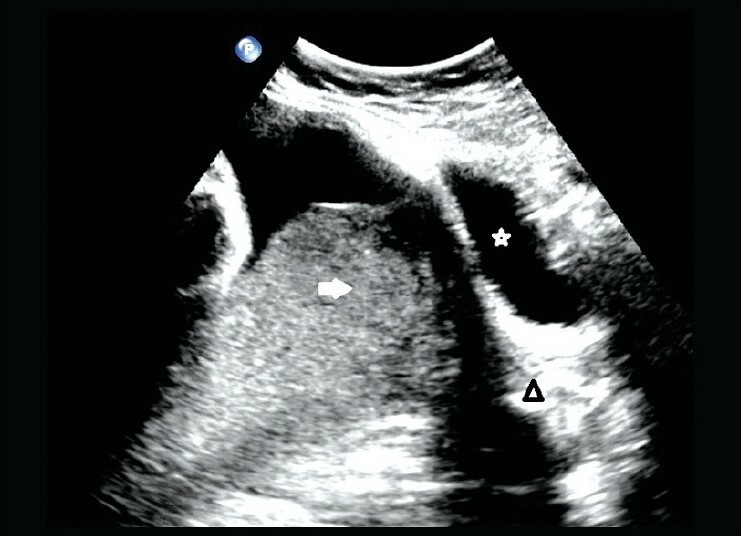 The classic triad of vaginal bleeding, adnexal tenderness, and an adnexal mass is present in less than 30% of ectopic pregnancies. The presence of a normal menstrual period should not exclude the possibility of an ectopic pregnancy. A normal intrauterine gestational sac is eccentrically placed in the endometrial cavity and surrounded by a double decidual layer. This should not be confused with the pseudo sac that is formed due to the hormonal changes associated with an ectopic pregnancy and results in an endometrial fluid collection surrounded by a single decidual layer. 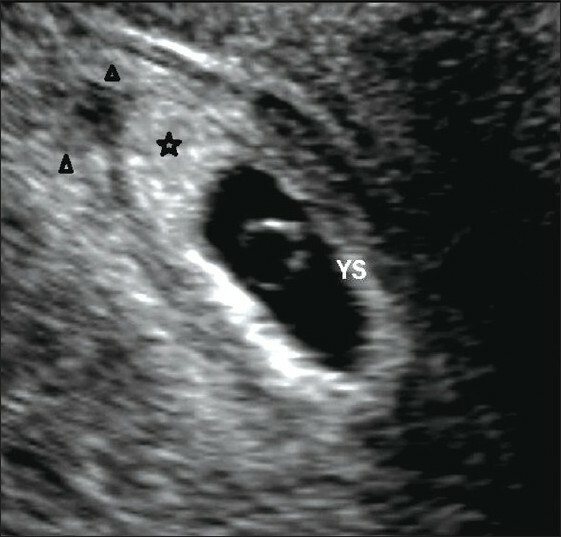 The presence of a yolk sac confirms an intrauterine pregnancy [Figure 1]. The sensitivity of an ultrasound examination in detecting placental abruption is as low as 25%. Therefore, physicians should rely on the clinical presentation for diagnosis. The main clinical features are vaginal bleeding associated with abdominal pain, tachycardia, drop in blood pressure, hard abdomen on palpation, and signs of fetal distress. Requesting an ultrasound examination in such patients is of little significance and might waste valuable time. Pregnancy might become complicated due to several conditions that are life threatening such as ectopic pregnancy, placenta previa, abruptio placentae, and morbid adhesion of the placenta. Ultrasound is an important and helpful tool in the investigation and diagnosis of such conditions. However, healthcare providers should be aware of its limitations. Therefore, as an adjunct diagnostic tool, it should not override their clinical judgment. 1. Creanga AA, Shapiro-Mendoza CK, Bish CL, Zane S, Berg CJ, Callaghan WM. Trends in ectopic pregnancy mortality in the United States: 1980-2007. Obstet Gynecol 2011;117:837-43. 2. Morin L, Van den Hof MC; Society of Obstetricians and Gynaecologists of Canada. SOGC clinical practice guidelines. Ultrasound evaluation of first trimester pregnancy complications. Number 161, June 2005. Int J Gynaecol Obstet 2006;93:77-81. 3. Abbasi S, Jamal A, Eslamian L, Marsousi V. Role of clinical and ultrasound findings in the diagnosis of retained products of conception. Ultrasound Obstet Gynecol 2008;32:704-7. 4. Hertzberg BS, Bowie JD, Carroll BA, Kliewer MA, Weber TM. 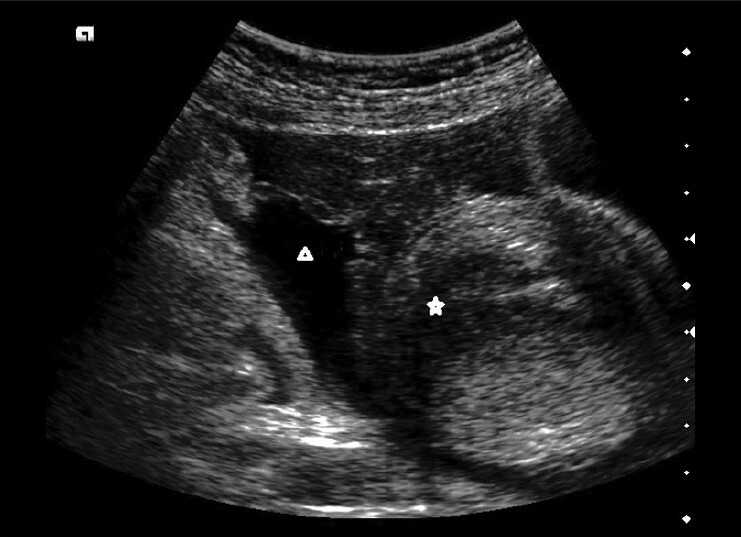 Diagnosis of placenta previa during the third trimester : R0 ole of transperineal sonography. AJR Am J Roentgenol 1992;159:83-7. 5. Ananth CV, Smulian JC, Vintzileos AM. The effect of placenta previa on neonatal mortality : A0 population-based study in the United States, 1989 through 1997. Am J Obstet Gynecol 2003;188:1299-304. 6. Rizvi F, Mackey R, Barrett T, McKenna P, Geary M. Successful reduction of massive postpartum haemorrhage by use of guidelines and staff education. BJOG 2004;111:495-8. 7. 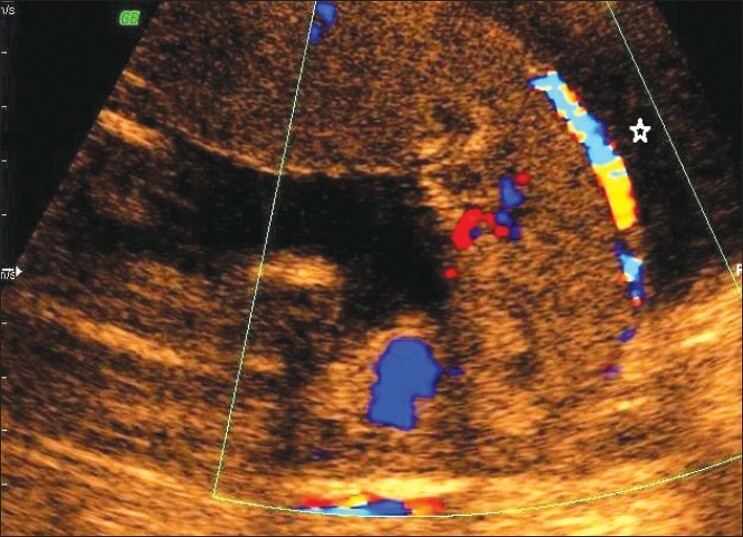 Ghourab S. Third-trimester transvaginal ultrasonography in placenta previa : D0 oes the shape of the lower placental edge predict clinical outcome? Ultrasound Obstet Gynecol 2001;18:103-8. 8. Wong HS, Hutton J, Zuccollo J, Tait J, Pringle KC. The maternal outcome in placenta accreta : T0 he significance of antenatal diagnosis and non-separation of placenta at delivery. N Z Med J 2008;121:30-8. 9. Comstock CH. The antenatal diagnosis of placental attachment disorders. Curr Opin Obstet Gynecol 2011;23:117-22. 10. Tikkanen M. Placental abruption : E0 pidemiology, risk factors and consequences. Acta Obstet Gynecol Scand 2011;90:140-9. 11. Siddiqui SA, Tariq G, Soomro N, Sheikh A, Shabih-ul-Hasnain F, Memon KA. Perinatal outcome and near-miss morbidity between placenta previa versus abruptio placentae. J Coll Physicians Surg Pak 2011;21:79-83. Gouhar, G.K. and Sadek, S.M. and Siam, S. and Ahmad, R.A.